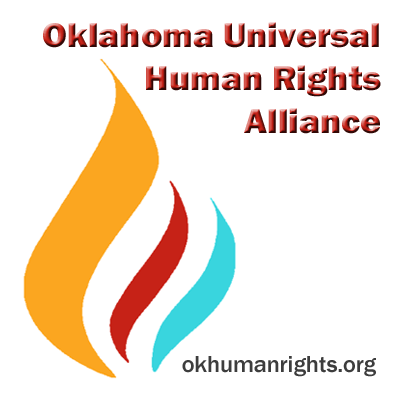 Since 2012, OKUHRA has awarded Oklahoma human rights activists or organizations for their contributions at a ceremony held in conjunction with International Human Rights Day (Dec. 10). Anyone, whether a member of OKUHRA or not, can nominate an individual or group for this award. The OKUHRA award committee reviews those nominations and selects the awardees. Use our nomination form to submit a nomination. Download a printed form to mail in. Each person may submit only one nomination per year. No previous award recipient may be nominated. Please refer to our directory of past recipients before submitting. The deadline for nomination is Nov. 1. Submissions received after that date will be considered in the following year’s award cycle. No exceptions! 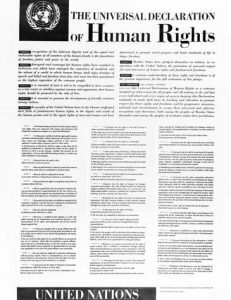 See the great human rights advocates who have been honored at past ceremonies on our recipients page.